Volunteer with the Douglas Students' Union! 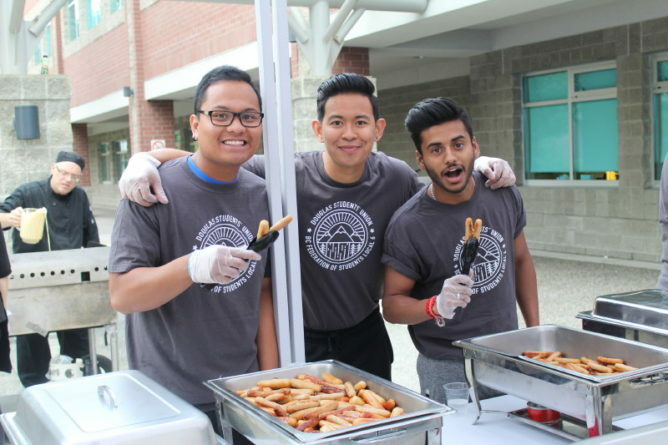 The DSU Crew Volunteer Program offers opportunities for students to develop skills and gain valuable experience through self-directed initiatives and working with the elected representatives of the Douglas Students’ Union. If you are interested in the program, please fill out the form to begin the process of becoming part of the DSU Crew. Filling out the form does not automatically make you a DSU Crew member.